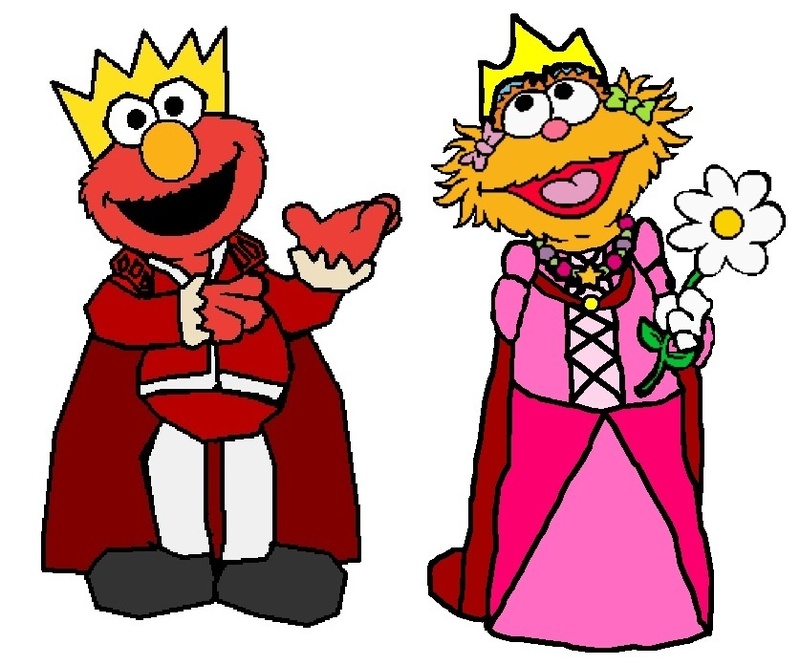 Prince Elmo and Princess Zoe. . HD Wallpaper and background images in the Sesame rua club tagged: prince elmo princess zoe sesame street. This Sesame rua fan art might contain anime, banda desenhada, manga, desenhos animados, mangá, and quadrinhos. Sesame rua on your Cupcake!